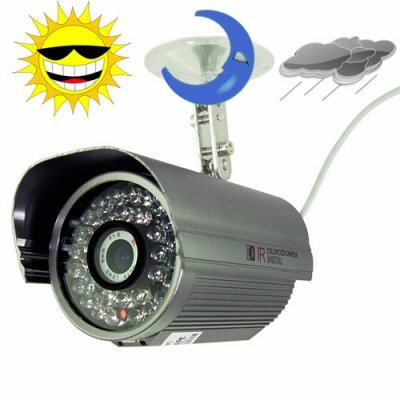 Successfully Added Waterproof Night Vision Security Camera - PAL (SONY 1/3 Lens) to your Shopping Cart. Do you connect cables from the camera outside to your computer or is it cordless? The device is not wireless/cordless, you will need to connect cables from the camera to the computer, monitor or TV screen. Do you always have to always keep the computer on to be always on guard? The computer does not have to be switched on, the camera has its own power supply. Is there any sound it makes when it sees unusual objects or shadows? The camera does not make any sound if it sees any unusual objects or shadows. I bought 4 cammeras and they are really high quality. 100% recommended. Chinavasion delivers again. product just as described, great buy. It's wise to remember to have BNC cables the approximate length to reach the given distance.